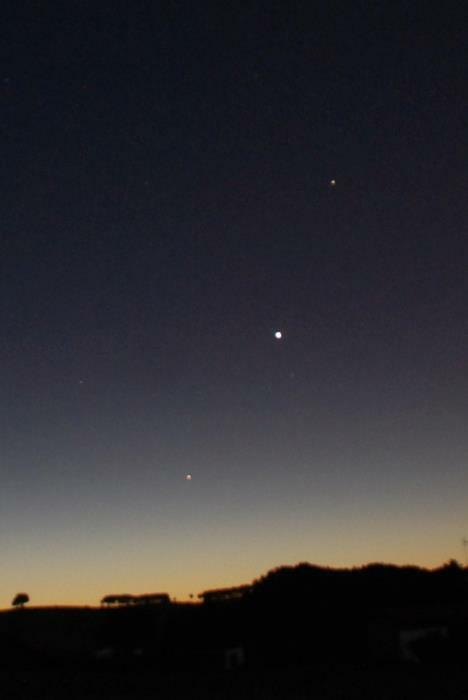 Here is a non-photoshopped, REAL picture of the planets in-line over Egypt today, December 3rd. Great picture of the planets, but we see no pyramids…? Maybe a better picture will surface that includes the pyramids.